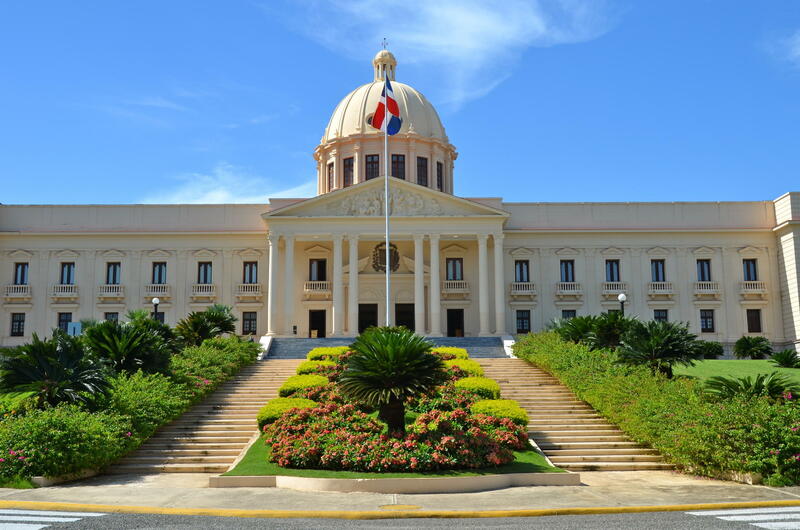 A reliable door-to-door service from Punta Cana airport (or hotel, villa or condo) to your destination in Santo Domingo. We operate our own vehicles 24/7, come rain or shine. 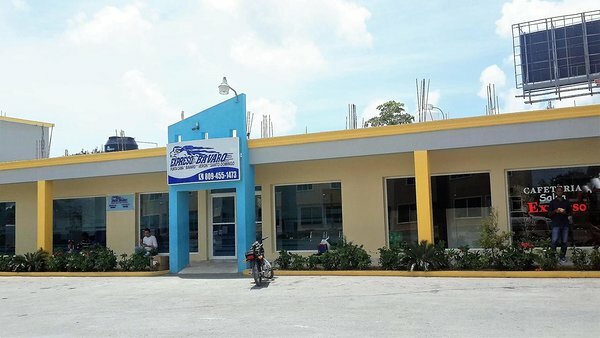 The drive from Punta Cana to Santo Domingo takes about two and a half hours in one of our comfortable air-conditioned vans or buses, and takes you south-west past the towns and resort areas of La Romana, San Pedro de Macorís, Juan Dolio and Boca Chica en route. We also offer luxury SUVs on this route. Drinks such as chilled water, cool Presidente beer and bottles of Prosecco sparking wine may be pre-ordered. Our shuttle departs Punta Cana airport daily at 5 pm, but must be booked in advance. 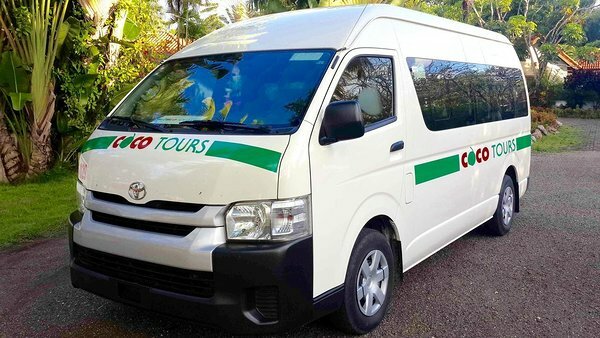 A 40-minute ride in a comfortable Cocotours van takes you to the intercity bus station in the town of Higüey where you change vehicles and continue your journey in a large airconditioned public APTRA bus, arriving in downtown Santo Domingo at about 8:30 pm. 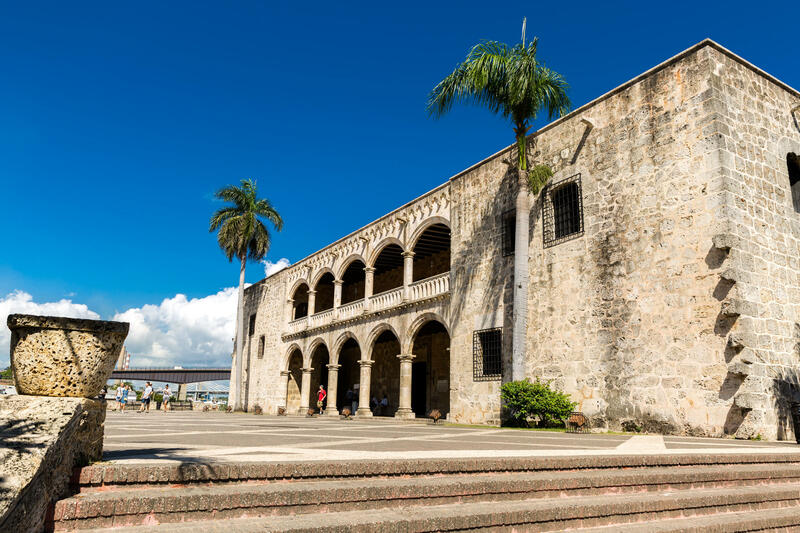 A historic adventure awaits you on our private tour, exploring the oldest city in the New World. 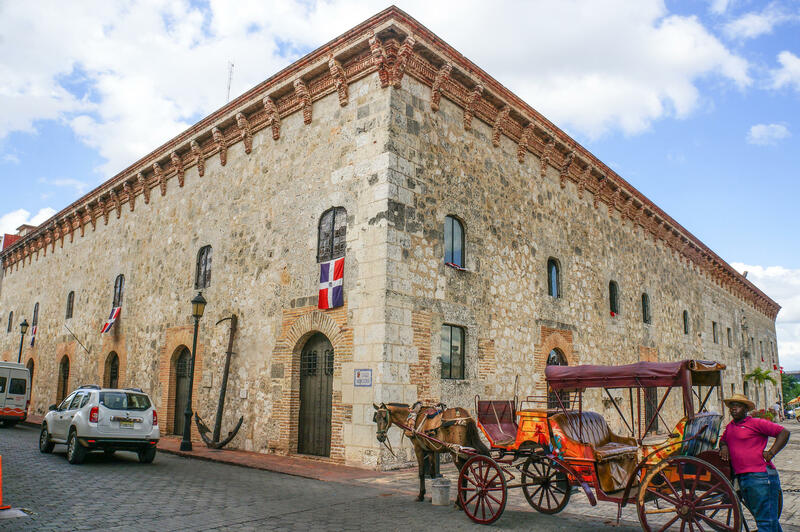 Click to be taken to a full description of our private Santo Domingo city tour. 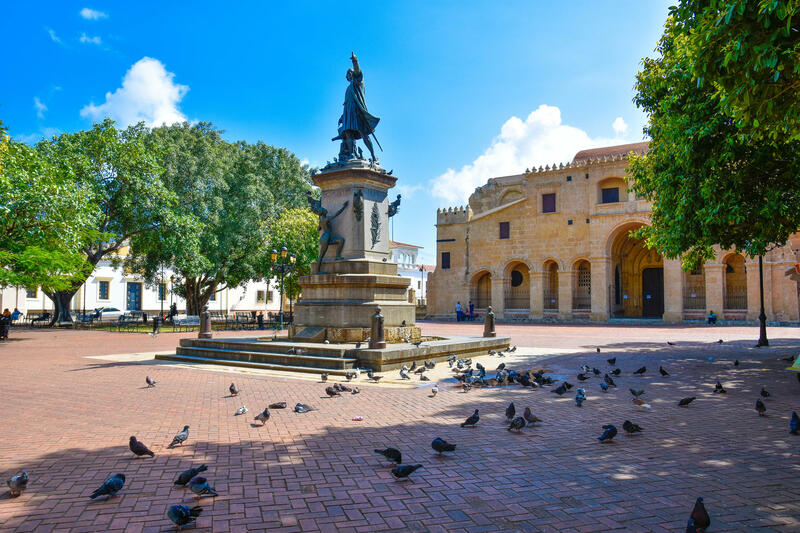 Click for our full description of our full-day guided sightseeing tour of Santo Domingo. There is also an intercity bus called the Expreso Bávaro, which departs 6 times a day from Punta Cana to Santo Domingo. The last bus each day leaves Verón in Punta Cana at 4:20 pm, which is about a 20-minute ride in a Cocotours van from Punta Cana airport. This means that if your flight into Punta Cana lands after 2 pm, you may likely not be able to make it in time to catch that last bus, in which case you could get Cocotours to drive you to the town of Higüey, a 40-minute drive from Punta Cana airport, where you could catch one of the many APTPRA buses to Santo Domingo which run every 15-20 minutes until the last departure at 8 pm.